Posted on December 18, 2017, by saraapps1 & filed under News. founders decided that our purpose and political focus would be nothing less than ending Israel’s occupation and helping to achieve a just political settlement between Israelis and Palestinians. This may sound audacious, but we felt that the struggle did not need yet another group to protest the occupation or document it or manage it through humanitarian projects. It needed an organization – and a grassroots organization – that would focus on the Big Picture. Thus, the issue of house demolitions would be the vehicle for getting to our larger political goal, since through describing demolitions and the policy behind them we could expose the workings of the occupation, Israel’s political intent regarding the OPT and, equally important, the human suffering engendered by occupation. We therefore asked one fundamental question before we decided on a new program or course of action: Does this contribute measurably to ending the occupation? In this way we have succeeded in keeping our sharp political focus despite temptations (and funding) that would have sucked us into a host of humanitarian, human rights and activist endeavours that, while good and worthwhile in their own right, in fact deflect us from our primary political aims. international advocacy. We have produced books, reports, articles, maps, films, powerpoint presentations and other informational materials and analyses. We have participated in dozens of conferences and speaking tours the world over (ICAHD has observer status in the UN). We also engage in joint activities with other groups, such as joining in a case before the Supreme Court regarding displacement of Palestinians by the IDF in the South Hebron Hills. Because of our uncompromisingly critical political focus, our voice has been clear, our analysis penetrating and useful. Over the years ICAHD contribution to the struggle for justice has been pronounced and appreciated. Now we face our greatest challenge. With the death of the two-state solution, ICAHD, like other Israeli and Palestinian organizations, must forge a new political vision and program. In this endeavor ICAHD is again taking the lead. As an anti/post/non-Zionist organization, we are able to “go with the flow,” to envision a bi-national democratic state in Palestine/Israel based on common citizenship, a single parliament, equal rights for all its citizens and the right of Palestinian refugees to return. Towards that end, ICAHD has joined with a number of Palestinians and Israel to formulate a joint vision upon which we can build a movement of advocacy. 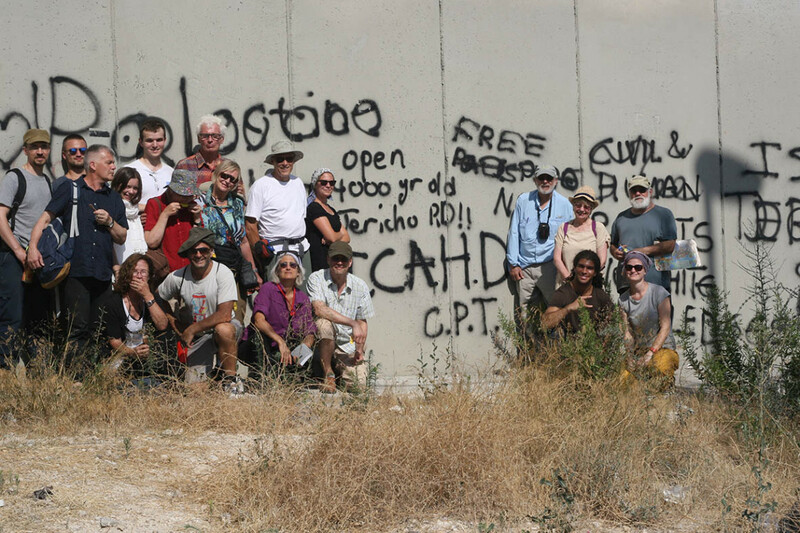 BDS 4 BDS: BDS for a Binational Democratic State. In February we will meet at Ilan Pappe’s center in Exeter to finalize our program. ICAHD also remains active “on the ground.” In the past 5 years we have had some 10,000 people participate in our study tours (led by Linda Ramsden of ICAHD UK), our “Matrix of Control” tours coordinated by Chaska Katz and starring our main guide Ruth Edmonds and our rebuilding camps. We frequently brief journalists and diplomats on the political situation, and our analysis is published internationally. ICAHD is also continuing its international advocacy. Jeff Halper presented a paper on the one-state solution in a conference on ““International Law and the State of Israel: Legitimacy, Exceptionalism and Responsibility” held last May in Cork, Ireland. He recently competed a three week tour of Italy, where his book War Against the People was published in Italian, and a 3-week tour of Germany in the wake of the German publication of An Israeli in Palestine. While in Berlin Jeff addressed the Human Rights Council of the German Parliament. action of our own, as Israelis and Palestinians. As always, ICAHD takes the lead in forward, strategic analysis and campaigning.